Martini srl proposes an intermittent motion vertical packaging machine for forming doypack® bags with adhesive tape closure. The great versatility of this machine allows to form pillow or square bottom bags through simple operations. Pneumatic motion back vertical sealing unit forming the bags bottom. 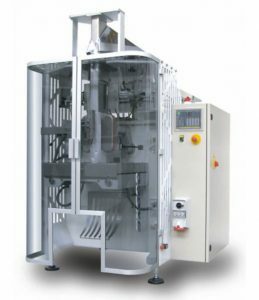 Pneumatic motion front vertical sealing unit forming the open/close bag flap.